Almost Yves Klein Blue, but with a hint of black and dusty grey, the blue designer Tracie Ellis has selected as the colour of her new bedlinen line for Aura is certainly an ultramarine, an indigo even, of great intensity. 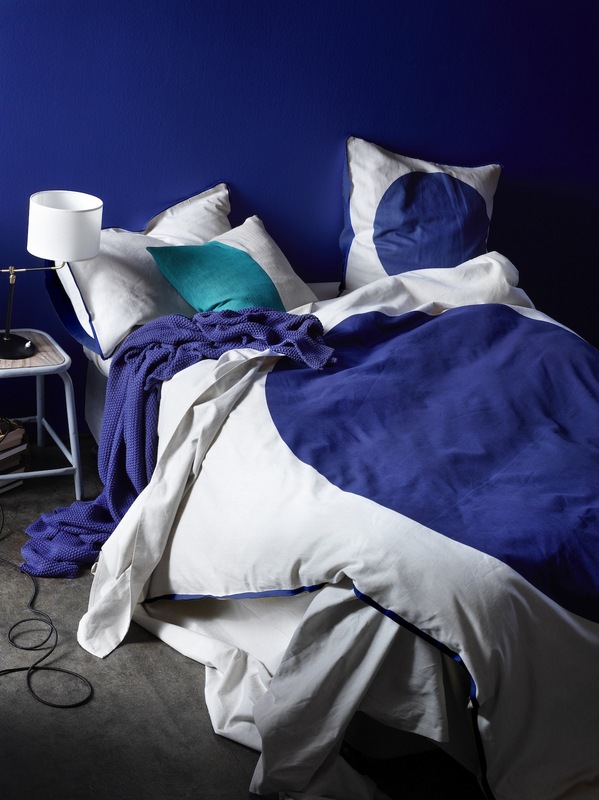 Blue hues aside, we think this sultry marine bedlinen, called Big Spot, is perfect for cooling down during the hot summer nights to come. Spot on!